I sat hanging out with my cousin, telling her about a delicious looking recipe I saw on TV that I wanted to try. It involved Thin Mint Girl Scout cookies (Vegan friendly!!!) and marshmallows! Sounds delicious, right? Well, my cousin kindly informed me that marshmallows were not vegan because they are made with gelatin. Someone told her gelatin was made from the collagen in pigs. Well it turns out, she’s right! 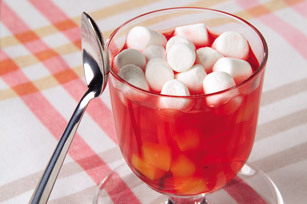 Gelatin is a protein obtained by boiling skin, tendons, ligaments, and/or bones with water. It is usually obtained from cows or pigs. Gelatin is not vegan. However, there is a product called “agar agar” that is sometimes marketed as “gelatin,” but it is vegan. It is derived from a type of seaweed. Gelatin can also be found in many shampoos, face masks, and cosmetics. I found many health benefits online in favor of consuming gelatin. So, if you’re not a vegan and not freaked out about how gelatin is made, feel free to overdose of gummy bears. Posted on March 19, 2015, in Truth About..., Vegan Life and tagged Gelatin, Truth about, Vegan. Bookmark the permalink. Leave a comment.